William Hite Jr. EdD is a cold, greedy man with the role of Superintendent of Prince George’s County Public School District. Prince George’s County Public School District was on the brink of bankruptcy in 2007 and now Dr. William Hite Jr is paid over $250,000 a year and we hear has been asking for a pay raise up to $350,000 with benefits included. William Hite Jr EdD wants to make about 10x the amount of a beginning teacher. This is appalling! He came from an upper-middle class school district called Georgia’s Cobb County School District which compared to Prince George’s County Public School District is like night and day. His tactics are basically slash and burn – cut out principals and fire anyone who gets in his way. He is middle aged, inexperienced, and only has a Doctor of education – EdD -not a PhD. Why are we paying him such a high salary if he cannot even prevent racial violence, sexual harrassment or retaliations on high school campuses and the injuries including near deaths of students involved in fights. Why are we allowing him to rip off our community? He is just going to take the money and move to another community. We hear he has been interviewing in other Districts quietly including Virginia beach where he finished last. He has no understanding of the various ethnic groups of Prince George’s County Public School District or the realities of being poor. This man is a Virgina Tech elitist who does not care about anyone but his paycheck! He hates teachers and privately refers to them as dumb deadbeats! He is a businessman out to make a buck off of taxpayer money! He worked in sales and marketing before he got the job. Get rid of this guy and replace him with a qualified person with more experience in reforming schools! He is not a reformer. He likes to cover up. William Hite Jr. EdD only deserves about $ 80,000 a year. He is not a good superintendent period. Teachers, students and parents do not trust him or buy into his false advertising. Test scores are basically the same and the morale of teachers has sunk to an all-time low. His allegations that test scores have gone up recently is a clever ploy which will never fly with anybody. We hear he has been paying off some reporters to keep things hush-hush. In fact, he is making a mockery out of teachers with his outrageous request for a raise. He is also making a mockery out of Prince George’s County taxpayers who are funding his salary. Let’s unite, strike, protest, and get rid of this cold, greedy, uncaring, racist, unethical, pig! Speak truth to power. Let’s also get rid of Board members that support this ripoff. 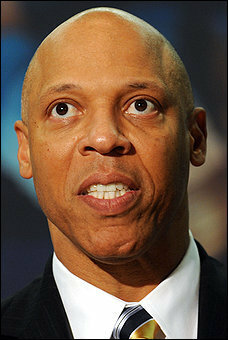 This man has not done any good for Prince George’s County Public School District . The dropout rate is still the same! Students have been injured (read the story here) , many others are being sexually harrassed (read the story here) and others have died in fights quietly! Teachers are depressed! (see the blog) Morale is at an all-time low! William Hite Jr. EdD is laughing all the way to the bank and thinking about his material items. He does this as students are attending underfunded schools and begging for new desks, books, and items they need to learn in a good environment. 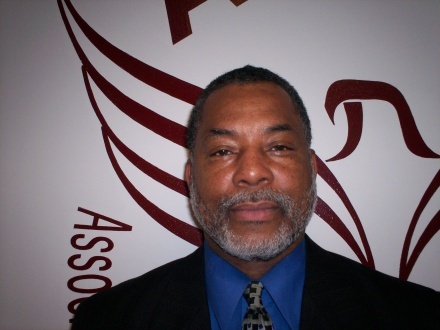 Stop ripping off Prince George’s County Public School District , William Hite Jr. EdD! Get out of town you greedy, perverted, immoral, scamming crook! We will no longer be fooled by your lies. Expect us to throw out your dirty business out there at every public event-the way you harass us with your scams behind the scenes! Some leaders in PGCPS – Heart of the problems in Schools. Root causes of the PGCPS problems – Dr. William Hite Jr. According to opinion of PGCPS staff, The Vice Principal at Largo High School, Mr. James Smallwood who also happens to be the current President of Association of Supervisory and Administrative School Personnel (ASASP), is having an affair with the Testing Coordinator at Largo High school. He is also having an affair with an English Teacher at the same school. Something needs to be done urgently to remove him as an administrator within PGCPS. Mr. James Smallwood is 61 years old, the Testing Coordinator is 36 and the English Teacher is 28. The two ladies accidentally found out about each other this last school year. The Testing Coordinator decided to confront the English Teacher. Long story short, the English Teacher is now pregnant. Mr. Smallwood is the former Principal of Forestville Military Academy in PGCPS and was demoted for this same type of nonsense there. The English Teacher’s name is Ms. Lisa McQuirter and the Testing Coordinator is Dr. Leelannee Malin. Mr. Smallwood was a gym teacher when he started at Largo High school years ago and was later promoted to be Vice Principal. We have known him for a long time. Having known him for so long, we also know that he has been in a serious relationship with a white lady for over 20 years. We only say this to show that he means no good to Dr. Malin or Ms. McQuirter. They are merely notches in his belt. We find it unprofessional that he brings this to the work place. This behavior caused two women to confront each other like high schoolers. The sad thing is that the students know all about it and make comments on facebook and tweet about it. Ms. Simpson-Marcus the current Principal at Largo High School has shown blatant favoritism to him over the other administrators. We are sure that it is only because he is not only the President of the ASASP union, but Vice President of the American Federation of school administrators AFSA union. Mr. Smallwood is denying fathering Ms. McQuirter’s baby. She is a decent person and we know she would not say it if it was not true. She actually thought that she and Mr. Smallwood had a relationship. She was proud of the fact that she was dating him and shared her happiness with several staff members this last school year. When she accidentally found out about Dr. Malin, she stopped seeing Mr. Smallwood. Dr. Malin, however, follows him around like a little puppy dog and continues her relationship with Mr. James Smallwood. She goes everywhere with him and they even showed up arm in arm for Largo High School prom last year. Dr. Malin believes the lies that Mr. Smallwood tells her and flaunts her relationship with him to taunt Ms. McQuirter. Ms. McQuirter says that the truth will come out until the baby is born and Mr. Smallwood takes a paternity test. We feel sorry for Ms. McQuirter because she was totally taken advantage of by this man. Mr. Smallwood has children older than Ms. McQuirter and we find it disgusting that he did this to her and now denies what he has done. Many staff members at Largo High School have worked very closely with all the administrators and they are aware of the situation. Many thought that Mr. Smallwood was a man with high standards because he was such a good administrator and worked hard. However, we are all so surprised by all of this from him but it seems that, some of us clearly knew more than the rest. He was always very professional with some of us. There were rumors about the affairs he had before; including with a guidance counselor and a science teacher at Largo High School, but it was never as blatant as now. When we heard about the women at Forestville Military Academy, we knew, then, it was more than rumors. One would think that with all the womanizing he is doing, he would use protection, (Condom). 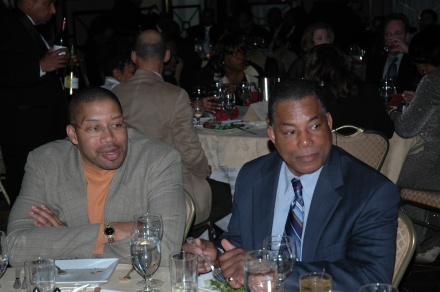 On the other hand, Mr. Dwayne Jones (the Principal of Laurel High School) who is the current secretary of ASASP union and a good friend of Mr. James Smallwood (both men are pictured below) is involved in an illicit affair with a security guard at Laurel High School (Ms. Deborah Toppins). The staff at Laurel High School works in fear of retaliation because of the obvious conflict of interest. Ms. Toppins boosts that she is a sworn police officer besides being a security guard and has connections with police officers elsewhere including Laurel Police Department. Staff has complained so many times to Dr. William Hite Jr. (Superintendent – PGCPS) and Ms. Monica Goldson (Assistant Superintendent) about harassment and retaliation in various locations within the PGCPS School District. However, nothing seems to get done to address the hostile work environment fueled by these many illicit affairs. It’s quite disheartening that so many staff members have lost faith in all of them. Ms. Simpson-Marcus paid her favorite Guidance Counselor to attend a workshop in Las Vegas – Nevada that she did not attend. It was brought to the attention of Dr. William Hite Jr. and the HSC, led by Ms. Monica Goldson. They conducted an audit and found a lot of misappropriation of funds in this particular school. Some of the staff members knew the auditor and he told them that with all the findings of his audit, Ms. Simpson-Marcus should have been fired. Well, Dr. William Hite Jr. has kept everything under wraps and has since removed the auditor from Largo High School. Nothing happened to Ms. Simpson-Marcus or the guidance counselor; it does no good to bring anything to the superintendent or the HSC led by the corrosive Assistant Superintendent (Ms. Goldson). Besides, Ms. Monica Goldson is friends with Simpson-Marcus and other principals. She supports all their wrong doings. Many staff members and students within PGCPS are harassed and retaliated against every school year. Their complaints are never addressed because the very leaders, who are supposed to help with their grievances, are involved in corruption. In order to see the circle of corruption cut off, we would like to see something done to address the issues this year. Please review the issues including the blog and Circulate widely to other stakeholders through face book, twitter etc. Call your senators, delegates and other elected officials. Corruption flourishes when someone has monopoly power over a good or service; has the discretion to decide how much you get or whether you get any at all, and where transparency and accountability are weak. So, to fight corruption we must reduce monopoly, reduce discretion, and increase transparency in many ways.